Feeling abundant love and support from our three interim co-presidents of the UUA, the Rev. William G. Sinkford, Rev. 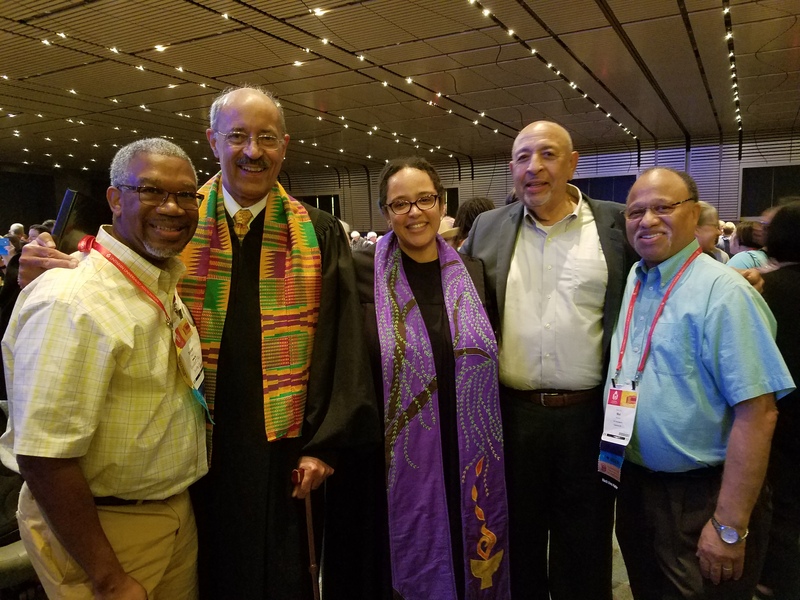 Sofía Betancourt, and Leon Spencer, along with Rev. Mel Hoover – at the UUA General Assembly in New Orleans, LA, June 21-25, 2017.